In late July of 2018, this year, Kerala was affected by severe floods due to unusually high pouring in this monsoon and its aftermath is still evident. Not only was the rain responsible for the disaster, but also the opening of 35 dams out of 42 dams in the vicinity, intensified the situation. 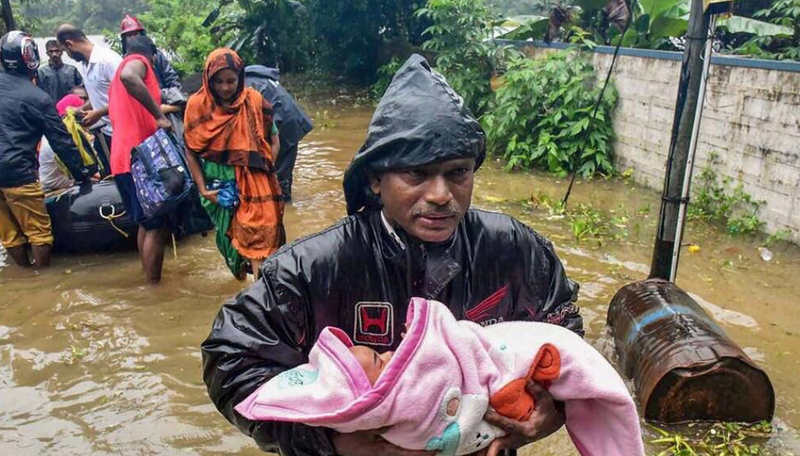 The 2018 Kerala Floods are considered as the worst flooding in Kerala, in the past 100 years. Also, Kerala floods of 2018 have been declared as a ‘level three calamity’ by the Central government. All the 14 districts of Kerala are still under red alert. 774 villages out of 1,564 were inundated and approximately 400 people lost their lives. Adding to this, over 26,000 houses have been damaged or destroyed. The total loss of property is expected to be more than 19, 560 crore rupees, which is expected to increase as the water will retreat and the clear picture is seen. 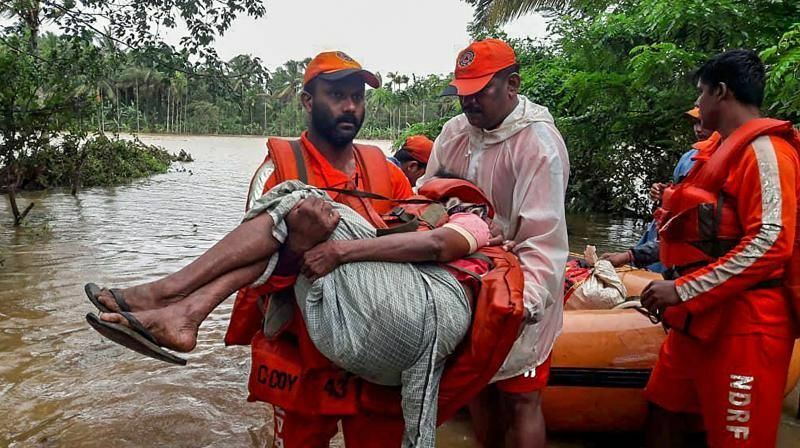 The devastation caused by the Kerala floods of 2018 is so huge that in order to mitigate the effects and after effects, Kerala Chief Minister relief fund has been set up, into which various people are making donations. This ‘few’ had many people helping the Kerala flood victims. Many people contributed to the Kerala flood relief campaigns, with money, food, shelters, clothing, and volunteer service. Chief Minister of Goa, Mr. Manohar Parrikar, has decided to donate Rs. 5 crores to the Kerala Chief Minister’s Distress Relief Fund. Not only this, all the employees under the Goa state government are asked to voluntarily contribute at least a day’s salary to the flood relief campaign. Not only the Judges and Lawyers of the Supreme Court but also the general staff of SC contributed generously to bring relief to the inhabitants of Kerala. The court issues a circular on Friday stating that all the staff members were willing to contribute to help the affected people of Kerala. Indian Air Force (IAF) has played a major role in the rescue operations running in Kerala. The conditions were very adverse, still, the IAF jawans did not lose courage and served the people with all their courage. Along with this, the Indian Air Force also made a huge financial aid for the affected people. IAF donated Rs 20 crores to the Chief Minister’s Distress Relief Fund (CMDRF). They deserve huge respect for both their steps. 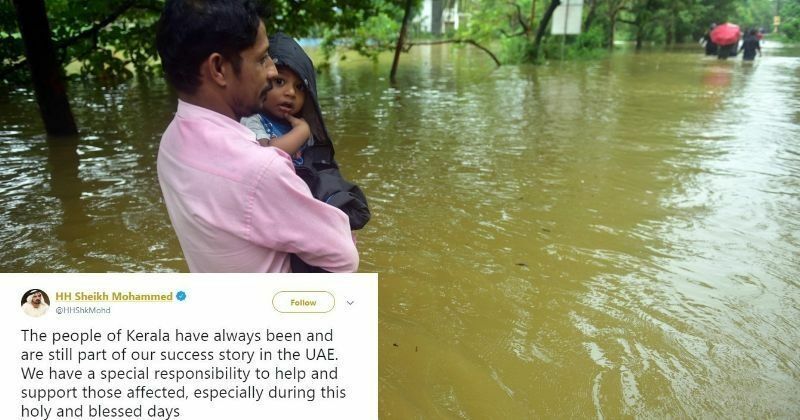 Even Indians residing in other parts of the world were affected by the Kerala floods. They could not remain inactive after seeing the upsetting conditions of their homeland. Arun Nella, who is currently running a startup in the US along with his five friends, started a silent ‘fundraising campaign’ on Facebook. Later on, Ajomon, an Indian businessman based in Chicago, also joined him. The effort of these two Indians didn’t go in vain. They were successful in collecting approximately Rs 11 crores, which they will hand over to the Kerala Chief Minister when they will come to India next week. Seeing the enormous amount of devastation caused by Kerala floods in India, the Kingdom of United Arab Emirates offered financial aid to Kerala flood victims. This information was conveyed to the State Government of Kerala by an NRI, Mohd Yussuf Ali. Currently, the Union is discussing on this matter, though the Chief Minister of Kerala, Pinarayi Vijayan, wills that this amount should be taken, as Kerala needs it right now. The State of Uttar Pradesh was not behind in extending a helping hand. A group of students from the Lucknow University marched for a collection drive and collected a considerable amount from the Lucknow University campus. The Lucknow University students also went to Aminabaad Market, Lucknow’s shopping hub, and collected funds from all the small and big shops. The Lucknow shopkeepers contributed enthusiastically, making their bit to Kerala relief funds. Reddy is a student of class 4, at Bhartiya Vidya Mandir. He has been saving money for five years and this saved money amounts to Rs 10,000. Unlike other children of his age, who want to spend their saved money on themselves, buying fancy gadgets or toys, Reddy contributed his saved money for the betterment of Kerala flood victims. Reddy’s small contribution is undoubtedly, the largest and significant contribution out of all, to the Kerala Chief Minister Distress Relief Fund. Heartbroken by the catastrophic flooding in Kerala, US tech giant Apple announced to donate Rs 7 crore towards the ongoing relief work in Kerala. Apple has also added support banners to its homepage, along with App Store and iTunes Store, allowing customers to donate to Kerala Chief Minister distress relief fund. The social networking giant, Facebook, is donating Rs 1.75 crores for Kerala flood victims, who have seen massive destruction recently. The company is donating its sum via the Community Resilience Fund for GOONJ — a Delhi-based non-profit organization. Amitabh Bachchan, Shah Rukh Khan, Hrithik Roshan, Jacqueline Fernandez, Akshay Kumar, and a few more stars have donated to the Kerala Flood Relief Fund, as their part to ease out the plight of the Kerala flood victims. Besides making donations, the Bollywood stars also took to social media to spread the message and to encourage the fans to help Kerala flood victims. The Khalsa Aid volunteers are superheroes who wear turbans, not capes. We have already seen them doing their bit whenever humanity needed them. This time, when Kerala floods hit, they reached a Kochi gurudwara, prepared meal and served them hot to the families stuck in Kerala floods. Khalsa Aid International did not disappoint us. Not just Indians, but also non-residents of India are acknowledging that Kerala is facing the worst floods in the history of 100 years. These were just 7 mentions of contributions to Kerala flood victims, but there are many more. Not only the above people contributed in terms of money but there were many people who contributed to this noble cause through various means. There are many people who send clothes, food items, sanitary napkins, and other necessary items. It is noteworthy that Onam celebrations have been muted this time, not only in India but all across the globe. Kerala floods have dampened the Onam celebrations this year. The organizers have cut down the cost of Onam celebrations, to the sufficient limits and have contributed the excess amount for the Kerala relief fund. Funds are being collected from schools, colleges and even from temples, mosques, and churches. Nothing is above humanity right now. This is what Kerala and flood victims people need the most. Do remember them in your prayers.